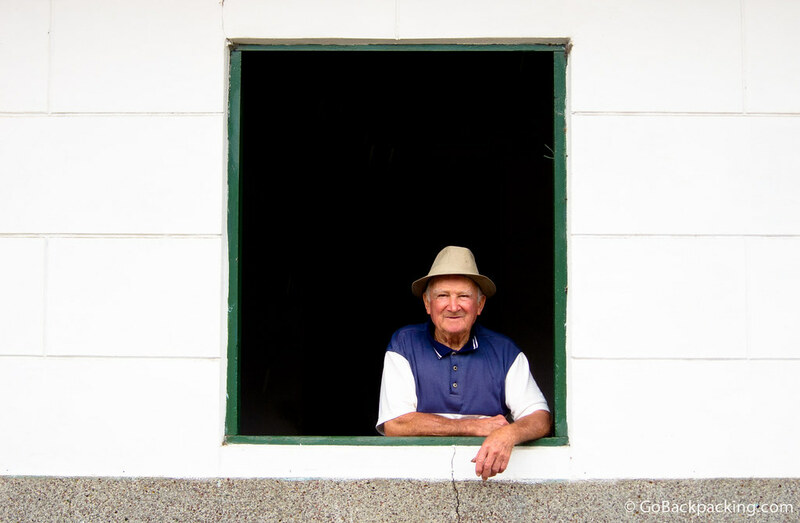 As I was walking around Jardin, a pueblo in the mountains of Antioquia, Colombia, I spotted this man hanging out in a windowsill. From the street, he looked perfectly framed, so I quickly asked his permission for the shot, at which point he sort of came to attention. When taking people's photos, I prefer to catch them acting naturally, however if I want to do the right thing and get their permission, they'll almost always change what they're doing in small ways because they know they'll be on camera. It turned out to be one of my favorite photos from Jardin, as well as Colombia.